Successfully Added 3D Virtual Reality VR Glasses "Vision One" - Bluetooth Remote Control, Fits 3.5 to 6.0 Inch Smartphones, Padded to your Shopping Cart. Watch 3D movies in the comfort of your own chair, play games and more! See the mobile world as you have never seen it before with the 3D VR glasses. 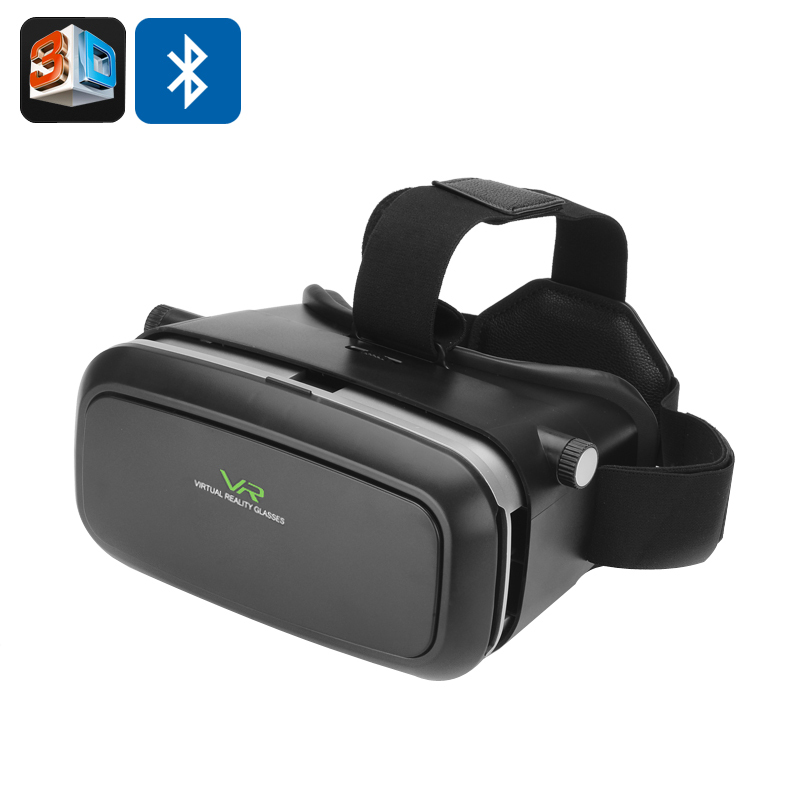 Padded for comfort, featuring adjustable eye lens, focal depth and coming with a Bluetooth remote control, this virtual reality headset is sure to have your head spinning with excitement. Mobile gaming and entertainment has reached new heights – and with so much 3D content already available online, it’s an utter shame to not be able to get your eyes on it. These compact 3D VR glasses will open up a completely new world to you and let you see loads of exciting new content. All you need to do is take your smartphone (mind that it should be between 3.5 to 6.0 inches and come with Bluetooth 3.0 or higher), insert it in the headset, secure in place and then lay back and let the world of 3D take you away. Thanks to the handy Bluetooth remote control, enjoying the VR headset will be even easier – as you will be able to control your smartphone without meddling with the headset itself. With the soft padding on the inside, the headset will sit comfortably on you head – great for indulging in the long hours of 3D game play and exploring whole new worlds. The VR glasses let you adjust the eye lenses and focal depth, so that you can have the VR experience that is right for you. With a built-in battery the remote control gives you up to 40 hours of continuous usage time with no recharging needed. The gadget is great for lengthy car trips in the back seat, train journeys or a long-haul flight. The 3D Virtual Reality Headset comes with a 12 months warranty. Brought to you by the leader in electronic devices as well as wholesale 3D VR glasses..
Apple iOS System: It can be used for music/movie playback control and selfie for iPhone. Wireless mouse function are for Andriod system only, not applicable for iPhone. Android System: Support Android / PC (GAMEPAD): NES / GB / GBA / GBC / SMD / N64 / PSX / PSP / MAME; android APK games. Furthermore, it can be used with a Bluetooth-enabled TV BOX, TV, E-book support, wireless mouse, Selfie Camera Shutter and music control etc.